QuestReview™ our questionnaire design review tool that provides you with a detailed appraisal and report on any weaknesses in your questionnaire’s design. so you can be sure you get the information you want. Often a new or modified questionnaire is evaluated in a small pre-test sample of participants to identify poor design issues. The questionnaire might also be reviewed by members of the team to suggest improvements. This approach however, can result in subtle design weaknesses being missed which only experts can identify. Missed errors can result in your survey providing unreliable data. What feedback do we give you? The process of translatability assessment (TA) of a questionnaire is usually conducted by experienced linguists in collaboration with the developer. However, both the linguist and developer may not always have the expertise to identify design issues that expert questionnaire designers can. As a result, subtle questionnaire content and form errors are likely to go unobserved during the TA. With QuestReview™ our questionnaire design review tool, the risk of late-stage design errors that otherwise can result in problems achieving cross-cultural equivalence will be minimised. Using our award winning QuestReview™ our expert designers conduct a deep evaluation of the content and formulation of the source questionnaire against key good practice criteria to identify items requiring revision prior to TA. Pre-testing a modified or new questionnaire is an essential requirement in the design process. However, pretesting and piloting of a questionnaire can result in a number of rounds of testing as well as being time consuming and costly. QuestReview™ our questionnaire design review tool provides feedback on problems with content and form prior to pre-testing, saving you additional testing, time and costs further down the line. Cognitive debriefing – typically performed face-to-face with participants – is a good way to really understand what is going on in the minds of your participants when they are answering your questionnaire. As a primary source of information for HTA submissions and reimbursement negotiations, the core value dossier has become an essential market access tool. Evidences of patient reported outcomes such as disease burden and health-related quality of life (QoL) have become a key component of the dossier.  As a result, early evaluation of any patient reported outcome instrument used for providing evidence for the dossier is strongly recommended so that it aligns with industry regulations and best practice guidelines. With QuestReview™ our award winning questionnaire design review tool, our experts will first gain an understanding of the context of use followed by a detailed examination of the selected patient reported outcome (PRO) measure’s appropriateness in measuring the study’s concept of interest. This will be followed by a comprehensive review and detailed report of the PRO’s content against 32 best practice design criteria. This includes, wording, question format, layout and respondent burden etc. Using QuestReview™brings a significant added value to the dossier.